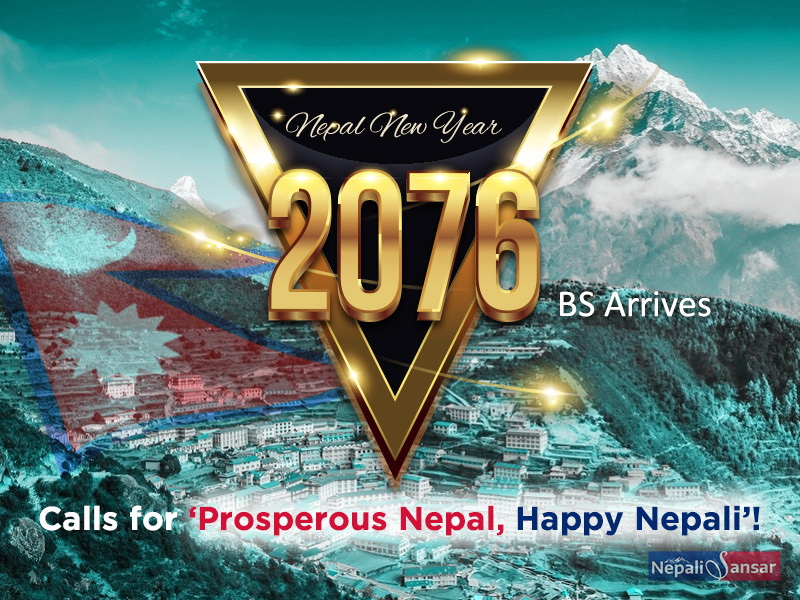 Nepal New Year 2076 BS Arrives, Calls for ‘Prosperous Nepal, Happy Nepali’! Home > Events > Events in Nepal > Nepal New Year 2076 BS Arrives, Calls for ‘Prosperous Nepal, Happy Nepali’! 57 years ahead of the English calendar, Nepal welcomed its ‘New Year 2076 BS’ on April 14, 2019. Nepal welcomes new year based on its Vedic calendar i.e. Bikram Sambat. Also celebrated as ‘Mesh Sankranti’ or ‘Baisakh Sankranti’, the Nepal New Year is marked when the Sun enters into Aries from Pisces as per the Vedic astrology. Top government officials, diplomats and other higher officials extended their warm wishes to the citizens, while the public celebrated in their own way through exchange of greetings and sweets. 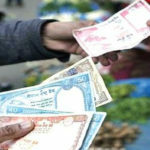 Like every year, 2076 BS also presents a list of important festivals like Dashain, Tihar, Teej, Chhath, Lhosar, Eid, among others celebrated round the year. In a special address to the nation, President Bidya Devi Bhandari wished peace and prosperity to all Nepalis around the world. “I am hopeful that international communities who love Nepal will cooperate to help us realize the motto of ‘Prosperous Nepal, Happy Nepali’,” President Bidya Devi Bhandari said calling on the global Nepali community. 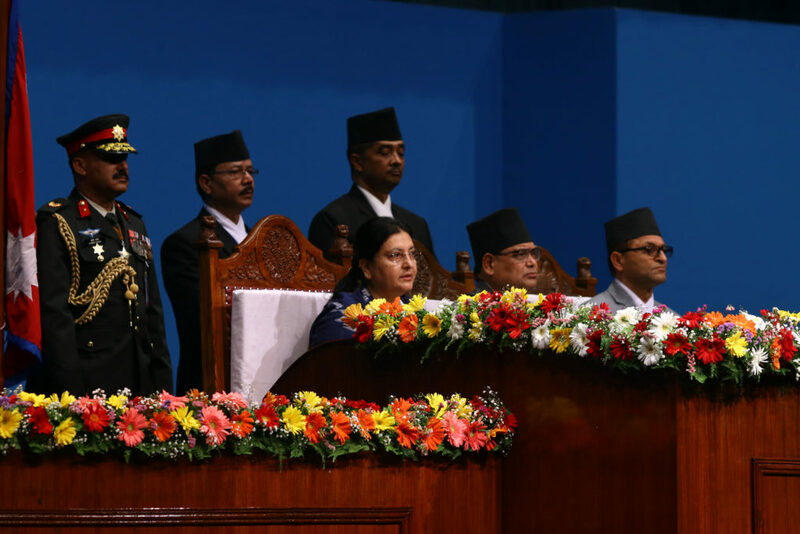 The President reiterated the government’s strong commitment to achieving the goal of ‘Prosperous Nepal, Happy Nepali’. Stating that 2075 BS has been successful for the nation in formulating new laws and strengthening working institutions, she said 2076 BS will help further in achieving sustainable peace and prosperity. In his address, Vice-president Pun also expressed a strong hope that the country is making positive strides under the ‘Prosperous Nepal: Happy Nepali’ campaign. Stating that 2075 BS formed a strong foundation for development, Pun said the country will see a further economic and social transformation in 2076 BS. “We all should be faithful and work for the greater good of the country and national unity by introspecting our weakness of the past,” said the former Nepali King Gyanendra Shah wishing the public on New Year 2076 BS. 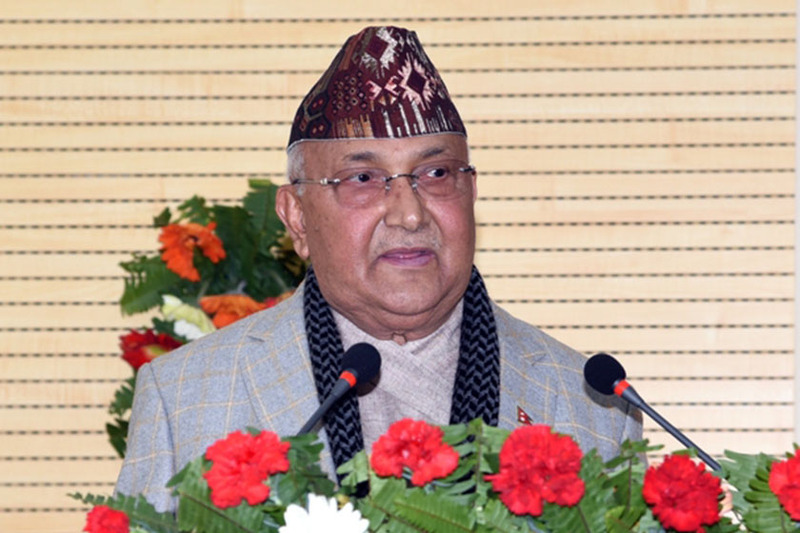 Marking the occasion, Prime Minister KP Sharma Oli launched a special program to ensure social security for all senior Nepali citizens through health and insurance coverage. “This government is sincere for the well-being of the senior citizens. 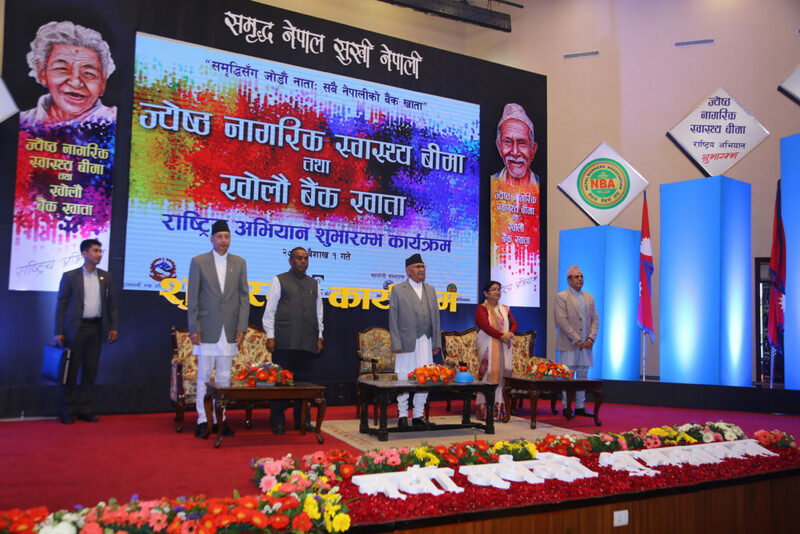 I assure that the government would increase the social security allowances to senior citizens through the upcoming fiscal year budget,” said Oli, speaking at the program held to launch a national campaign for health insurance cover and opening of bank accounts for all Nepalis. As part of the event, Oli distributed health insurance cards to some senior citizens. New Year is a public holiday in Nepal and holds high religious significance. 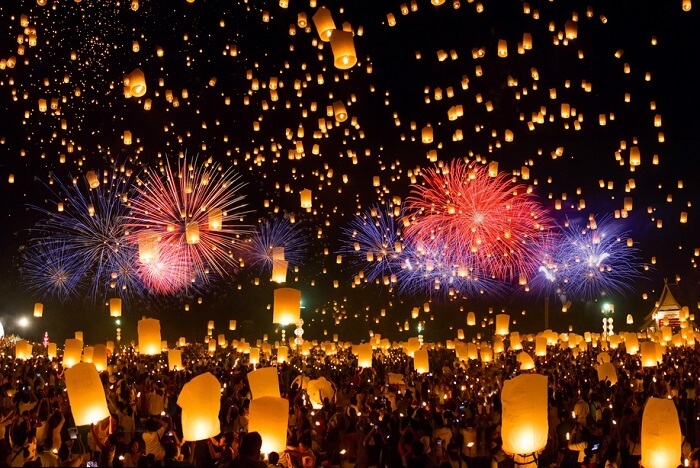 The country has 60 different ethnic groups and celebrates 9 different New Year days. But the Bikram Sambat New Year is officially considered as the ‘National New Year’ as a symbol of unity among the different linguistic, cultural and historically diverse communities of the country. On the New Year Day, public visit temples to observe special prayers and make special offerings to the god. Special processions are usually held across Kathmandu and other major cities with decorated arches and banners, public dressed in traditional clothing and some playing drums and cultural musical instruments. A special program at Bhaktapur stands as the highlight of New Year Celebrations, where the chariot of Lord Bhairab is pulled by dozens of public as a tug of war among the pulling sides. Similar events can be seen in Timi or Bode. 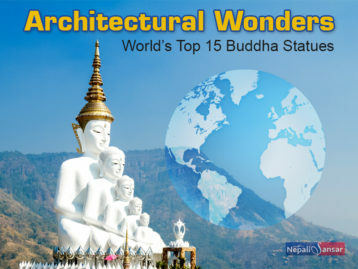 Arrival of the new year brought a joyful environment across the nation with a wide variety of programs held across the nation and hundreds flocking to tourism destinations to celebrate the holiday time. Besides, there were also notable rush in business and sales across the country. Chitwan witnessed the delight of the Nepal 2076 New Year celebrations with hundreds of public, from different parts of the nation, arriving at the tourism destination. 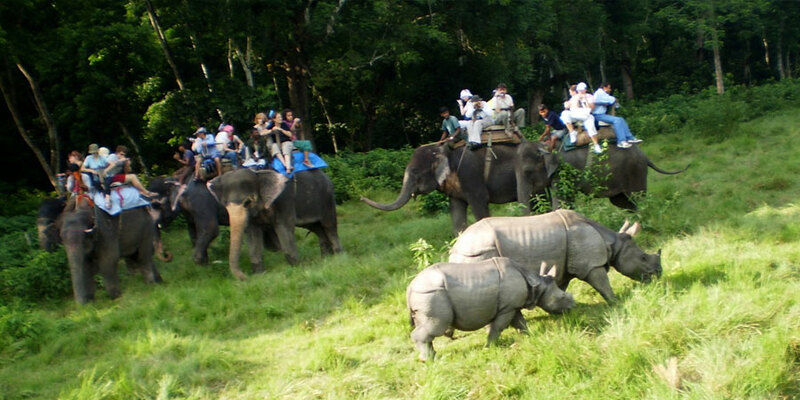 With the New Year falling on the weekend, Chitwan’s special attraction i.e. elephant rides took the center stage for hundreds of tourists. April 13, 2019 alone saw more than 500 elephant ride bookings. “Normally, we get around 150 people a day but the number surges drastically during Dashain and Tihar as well as the New Year,” says Ruman Chaudhary, a staff of United Elephant Cooperatives. Besides elephant rides, many took their short trips to the Chitwan National Park, nearby community forest, boat rides alongside the Rapti River and jeep ride around the conservation area. “Both the weekend and New Year occurred at same time which also contributed to the surge in number of tourists,” said Ram Mani Khanal, General Secretary of the association. Hotels around the area were fully booked and due to sudden rise in tourists, “some hotel owners had to turn back guests, citing the lack of rooms,” said Suman Ghimire, president of Regional Hotel Association, Sauraha. The arrival of 2076 BS brought a new rush in the country’s stock market, pushing the Nepal Stock Exchange (NSE) 18.82 points further. With the reported rise in investor buying, NSE closed at 1,184.02 points last week. Investor confidence cited the possibility of further market expansion in Q4 of the current fiscal year. The rise also reflected in average daily turnover hitting the NPR 598.58 million mark from previous’ NPR 417.92 million. “Most of the investors believe that there will be an ease in liquidity with the banks as the government offices typically speed up public spending with the arriving fiscal year end. Similarly, the investors might have been lured by the possibility that listed companies will announce fresh dividend at the start of the new fiscal year,” says a local stock broker. The local Nepali community of Boulder City (northern Colorado) celebrated Nepali New Year in their unique way. Boulder has been observing the Nepal New Year day as a ‘holiday’ or ‘Nepal Day’ every year since 2004. On the arrival day of 2076 BS, Nepalis in the city organized a parade through downtown Boulder. “We’re welcoming the whole year,” said Binaya Dhakal, General Secretary of the Rocky Mountain Friends of Nepal, the event sponsor. Marking the day, the local Nepali community gathered at bandshell in Central Park in different attires to celebrate the joy. “We like to remember our culture and teach our kids our culture,” said Dol Bhattarai, a resident of Arvada. We want to show our pride to be Nepali. We’re all connected. It’s peace and love,” says another Nepali Sarita Shrestha, who left the country in 1988 for education in Boulder. 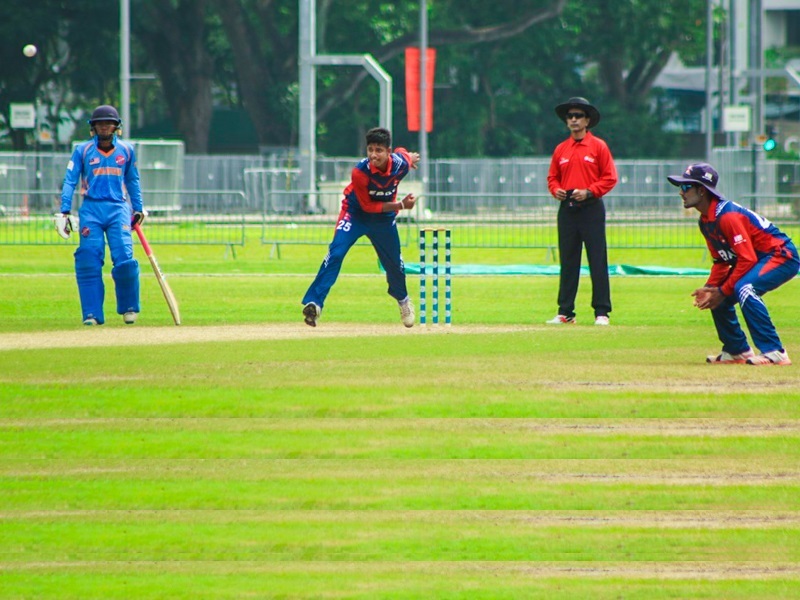 “It was great to experience the culture in Nepal, and the people are amazing. I’m just happy to be here to support the people here in the Colorado community,” says another participant part of celebrations. The history of Nepali settlers in Colorado dates back to 1970s, the year that marked the arrival of Nepali immigrants to the region. Adding to that, the US Government called for resettlement of Nepali-speaking Bhutanese from refugee camps starting 2008. The US 2010 Census recorded around 2,751 Nepali immigrants in Colorado. List not exhaustive, the Nepal New Year 2076 BS has seen a wide range of celebrations all across locally and globally. Nepali Sansar Wishes You the Prosperous New Year 2076 BS! 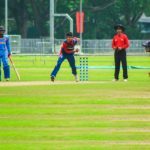 ICC U19 Cricket World Cup Qualifier Asia 2019: Nepal Fails to Qualify! Nepal New Year 2076: Visit Nepal 2020 Campaign from Pokhara!